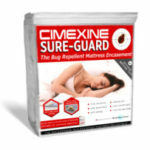 CIMEXINE’S new Insectaclear Strong Insect And Bed Bug Killer is a powerful, ready to use insecticide which has now been cleared for amateur use. 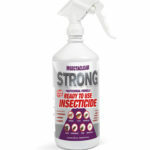 Insectaclear Strong utilises the active ingredients Imiprothrin and Cyphemothrin, and is licensed for use in hotels, kitchens, hospitals, restaurants and domestic premises for a wide range of insects and on bedding and mattresses. 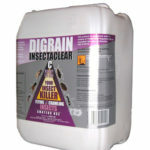 WE ALSO SPECIALISE IN BED BUG TREATMENTS INCLUDING HEAT TREATMENT. PLEASE CALL 01832 770483. CIMEXINE’S new Insectaclear Strong Insect and Bed Bug Killer is a powerful, ready to use insecticide which has now been cleared for amateur use. 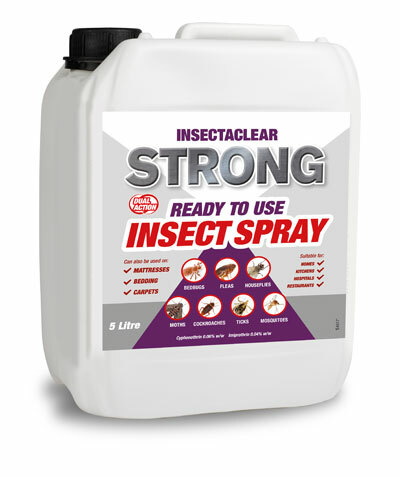 Insectaclear Strong utilises the active ingredients Imiprothrin and Cyphenothrin, two proven actives that have been used in the pest control industry long term. Cyphemothrin is a synthetic pyrethroid that has proven to be extremely effective against cockroaches that have built up a defence to carbonate and organophosphorus poisons used by professional pest controllers. 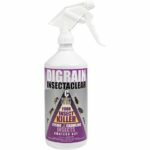 It’s also highly effective against external parasites like ticks, flies, fleas, lice, mites and ants. Imiprothrin is also a synthetic pyrethroid and has a very low acute toxicity to humans but to insects its lethal acting as a neurotoxin and ultimately paralysis. The two together create an potent insecticide to combat insect infestations where other insecticides struggle and is licensed for effectiveness against bed bugs, fleas, house flies, mosquitos, ticks and moths and cleared for use in hotels, kitchens, food processing plants, food shops, hospitals, restaurants, public buildings, trains, trucks, boats and is cleared for use on carpets, bedding and mattresses. Does not come with trigger spray. Orders made over Easter will be despatched on Tuesday 23rd, April for delivery on Wednesday 24th, April.